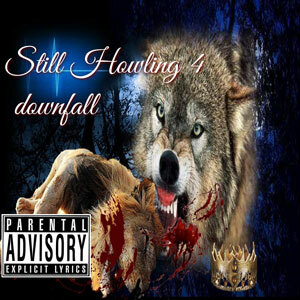 John J: “Still Howling 4” – a show of artistry! “Still Howling 4” is exactly what it says, the fourth EP in the series which started a couple of years ago. More importantly, it features its creator John J The Wolf in full-on old-school mode, dropping a litany of classic verses. It’s full of fire and full of John J’s always-impressive skills. It also reminds us, why so many hip-hop fans, believe that the rapper hailing from the Bronx, is wearing the underground crown. The recording represents an honest good-faith attempt to engage with where the artist finds himself now — with the production, the subject matter, and the voice. It finds John J attempting to rein in some of his own dark impulses. He flexes hard, to showcase his unparalleled technical skills while venting his own inner turmoil. It’s a conflicted lash-out that makes for a compelling listen. From the very first track, “Sleepless” — which opens with a slow burning verse that seamlessly shifts to the rapper’s well-established rage-mode and back — we get John J at his sharpest, most focused, and dizzyingly self-assured best. Time and time again John J proves the point that he’ll never stint us of a good rhyme or a well-crafted run-on lyric. In stellar tracks like “Broken”, “Bottled,” and “Yellow”, he asserts that confidence and demonstrates why rap desperately needs rappers like him in the mumble era. Alongside his distinct rapping style and clever lyricism, it’s John J’s creativity that keeps him relevant in the ever-changing rap music scene. In a show of his artistry, John J successfully stitched together a patchwork of diverse lyrical topics into a cohesive EP that should receive ample consensus. John J has always been a massive talent, and on “Still Howling 4”, he’s just putting them on show, and in the best way possible. The diverse rhythms of the aforementioned songs and John J’s flow dramatically shift on a dime as the rapper challenges himself to be as deep and complex as he can. Listen to the tonal contrasts between “Bottled” and “Yellow Ceiling”, to grasp the artist’s versatility. Listening to John J create lyrics makes you need to take a breath in-between his flow. Lots of things make a rapper talented – a unique perspective, story-telling ability, witty wordplay, complex and diverse rhyme schemes, cadence, bar structure, vulnerability, bravado and punch lines, humor, hyperbole, unique metaphors and similes, melody, song structure, and even song placement on a project. 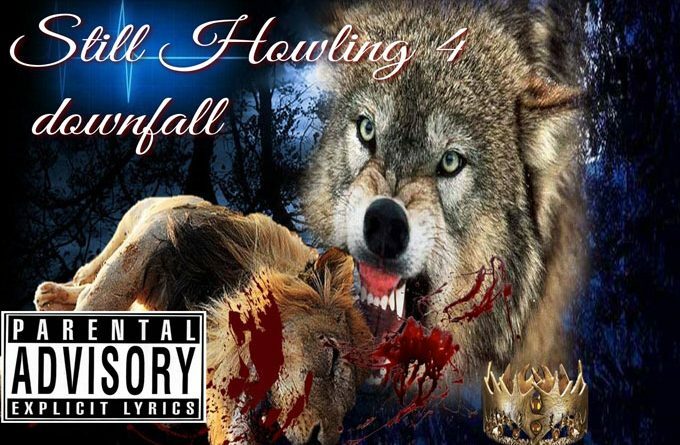 John J has it all and shows off his full arsenal on “Still Howling 4” album. Listen to how he breaks the EP’s ominous mood with “Detached” ft. Saint C. Then check out how he uses guitars to great atmospheric impact on “Favor” ft. King Low & Stotty P.
Unlike what happens on most albums or EP’s, John J actually closes off the recording with one of its best tracks – “Somedays”, which also has a great supporting video available on YouTube. When you listen to a track by John J, it almost feels like you are hearing a fully fleshed out narrative. He paints such a vivid picture with his rhymes, it’s almost impossible not to be taken in by the story. “Somedays” is one of those stories. On each subsequent release it gets harder for me to identify other underground rappers who are in the same realm as John J – he’s obsessed with the craft and it shows in his ability. Untitled Art – hard, pulse-pounding and window-rattling music!